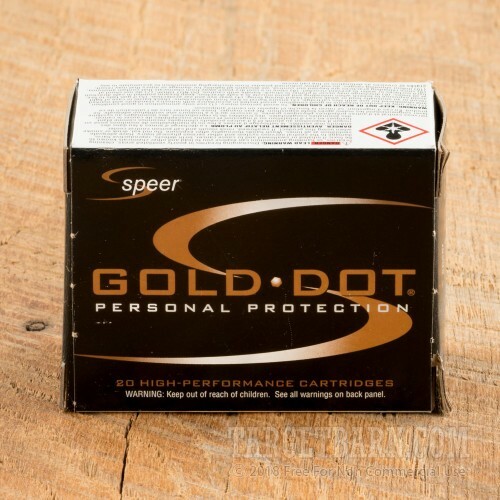 Speer Gold Dot ammunition is the carry load of choice for many CCW holders and police departments due to its high-performance design and strong track record of stopping assailants in emergencies. 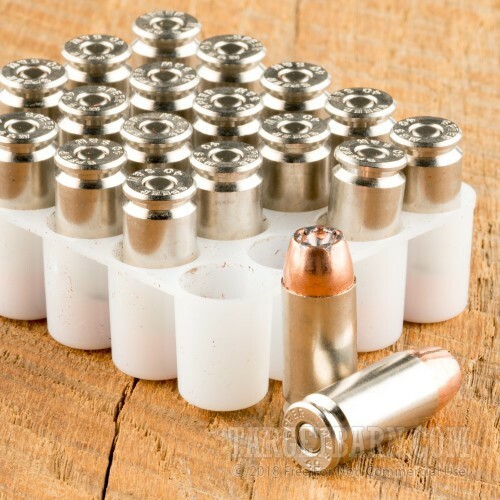 This .40 Smith & Wesson version is caliber and weight optimized with a bonded bullet that delivers the right amount of expansion and penetration needed to incapacitate a threat. 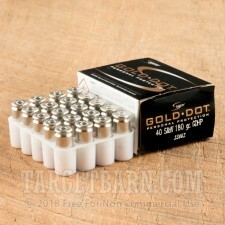 Each round in this box of 20 fires a 180 grain projectile at 1,025 feet per second. This is a relatively "hot" load that produces extra recoil but also very strong terminal performance with good shot placement. 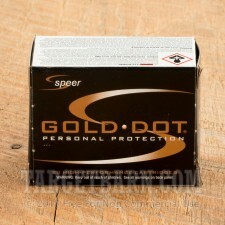 Speer Gold Dot ammo is made in Lewiston, Idaho using non-corrosive primers and nickel-plated brass cases. 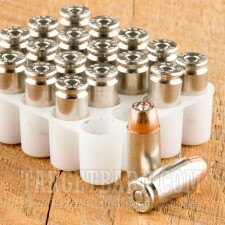 The nickel plating provides additional durability, a useful feature since defensive ammo is carried often and fired infrequently.